Bryan Anderson is a true American hero. At the age of 19, Bryan joined the Army – and it wasn’t long before he and his platoon were shipped off as part of the first US Invasion of Iraq. It was in his second tour that tragedy struck. An IED exploded beneath the Humvee that Bryan was driving, leaving him with severe injuries that might have caused an average person to sink into depression. But Bryan is no average person. 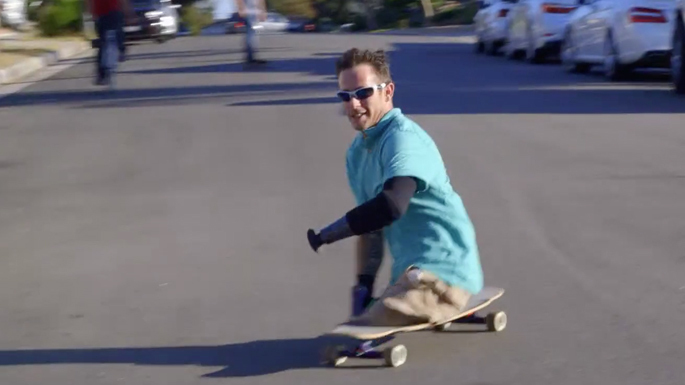 Despite his injuries, Bryan leads an incredibly full life. Traveling between Chicago and LA, he works as a spokesperson and stuntman, enjoying sports like rock-climbing, skateboarding, and surfing. Bryan is an inspiration to me – and to anyone who knows him. I am pleased and honored to be presenting his story, among many others, in my special: Lidia Celebrates America – Holiday for Heroes. You can view it online, or check your local listings for broadcast times.